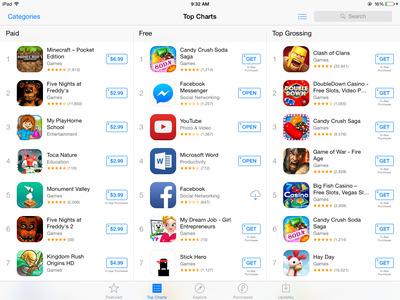 Apple hasn’t specified why it made the change, but it likely has to do with the rise of so-called “freemium” games that are free to initially download but offer in-app purchases to unlock more features within the app. 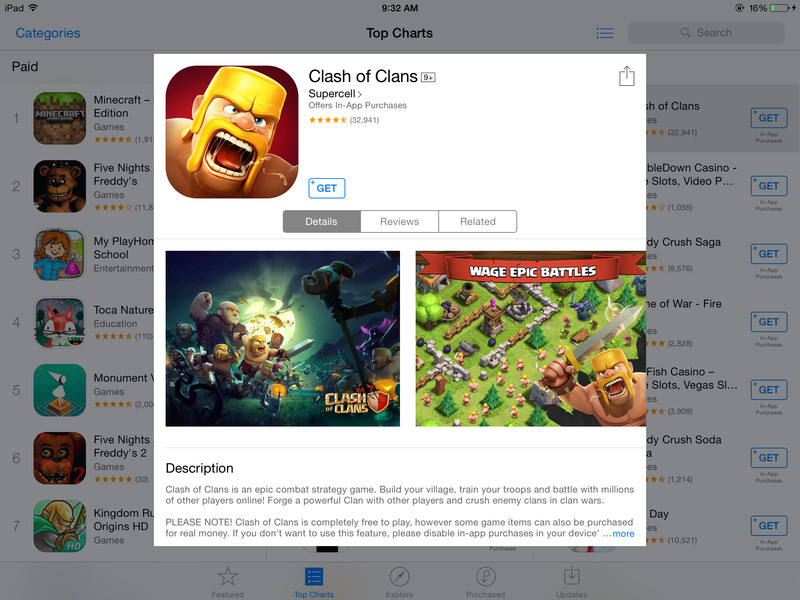 Labelling freemium games as free has proved problematic for Apple in the past. 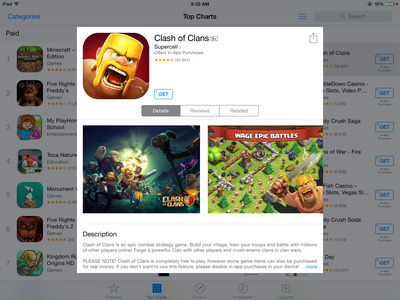 AppleClash of Clans, a popular game with in-app purchases, now features a ‘Get’ download button. Apple has since implemented additional alerts for in-app purchases, but it appears the company has decided it’s best to simply do away with the free terminology altogether. Apple is actually following Google’s lead with its rebranding of free apps, with the company announcing in July it would stop calling apps with in-app purchases free, according to MacRumors. Google Play apps now feature an “Install” button instead. 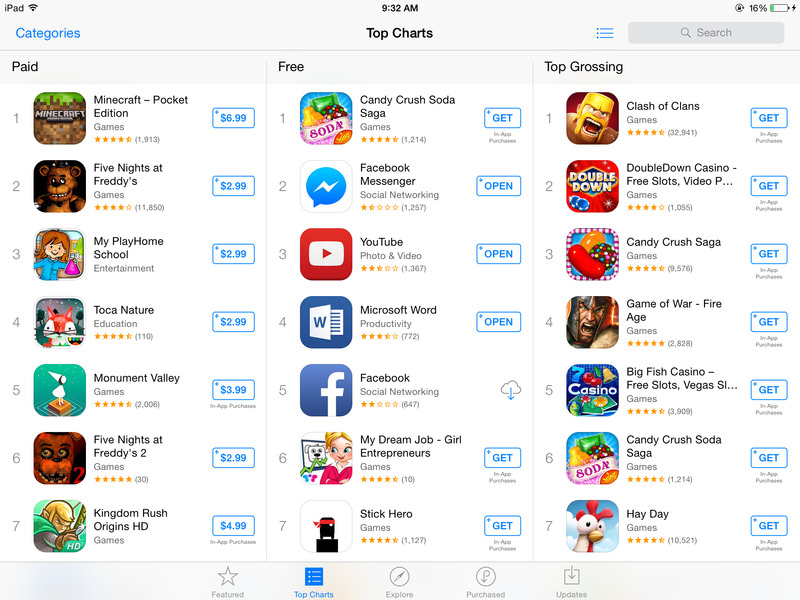 Both Google and Apple’s decision to ditch the “Free” label is likely in response to the European Commission’s request for both Apple and Google to make changes to better inform customers that apps with in-app purchases aren’t truly free.